I love a good cocktail! The holidays are the perfect time to try new recipes, especially since it’s party season! I impress my friends with new cocktail recipes every year. Holiday cocktails are easy to make, especially with online resources! Enjoy your next holiday party by making a delicious cocktail your friends and family will LOVE! Below are some delicious holiday-themed cocktails that you can make at home. Recipes are easy and delicious! Trust me! Read on to learn more and be sure to let me know what you think down in the comments. Which drink will you be trying out this season? Let me know! Run a lime wedge around each glass then dip in sanding sugar. Fill a cocktail shaker with ice then add vodka, cranberry juice, triple sec, and lime juice. Shake until the cocktail shaker is cold. Divide drinks between rimmed glasses and add cranberries for garnish. Rub rims of champagne flutes with lime and dip in sugar. 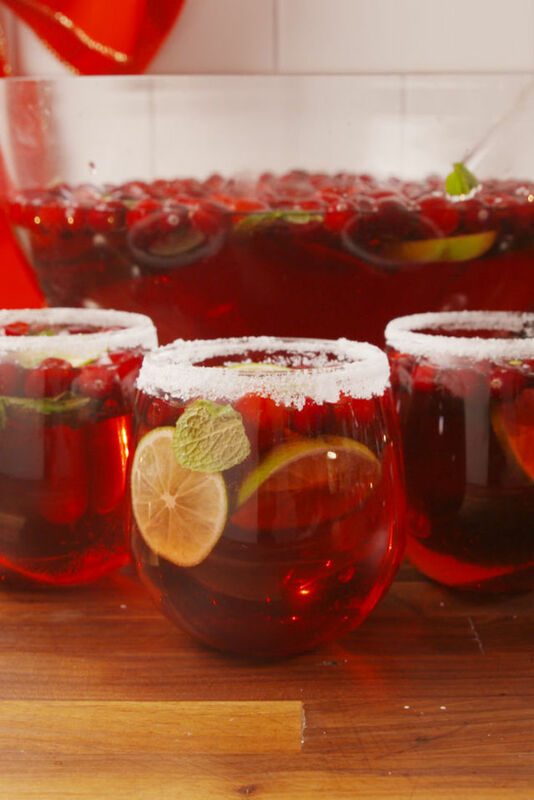 Pour 1/4 cup cranberry juice into each glass and top with champagne.